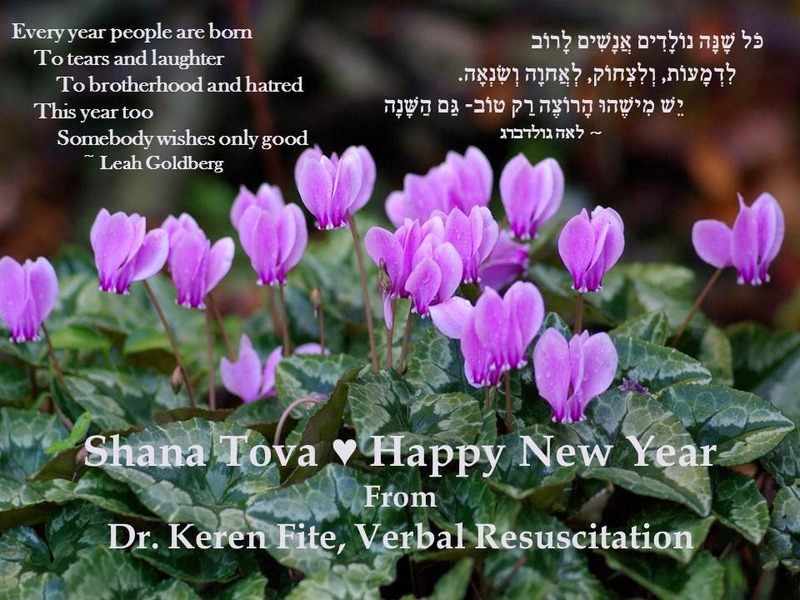 Posted by Keren Fite in Jewish Holidays, Rosh Ha-Shana. The sages of the Mishna and the Talmud said “a sign is an omen”, suggesting there is meaning in signs and symbols. The first meal of the New Year is filled with dishes that express our good wishes for the coming year. We don’t have to settle with food alone, why not add flowers to the Rosh Ha-Shana table? A Cyclamen is a good start. The name Cyclamen originates in Greek, meaning a circle (probably because of the round shape of the tuber). The flower grows in harsh conditions, therefore symbolizing perseverance and love. In ancient times it was used to bake wedding cakes, as a symbol of ever-lasting love and fertility. It was also used in love spells. Prior to modern medicine, the Cyclamen was used as a potion given to women in the birthing chamber, to ensure a fast and safe birth. The belief in the power of the Cyclamen was so fierce, that people believed that a pregnant women who treads on a Cyclamen will suffer premature labor. From this we can infer that the Cyclamen symbolizes the cycle of life – death – rebirth. The flower was consecrated to the goddess Hecate, the goddess of crossroads, the wise woman who knows the cycle of life, who is familiar with medicinal herbs and poisons. In Jewish tradition the Cyclamen, with its downward facing head, is considered a symbol of modesty. Its modest posture inspired King Solomon’s crown. According to tradition, Man was created in Rosh Ha-Shana, therefore the holiday is a day of inner observation; a day in which we humbly accept who we were in the past year, and bravely aspire to who we can be in the coming year.